The first question people usually ask me is, “What exactly is RYZE.Ai?” The simplest explanation is that RYZE is a software program that uses an Artificial Intelligence algorithm and executes currency trades using a variety of different strategies. Explained another way, RYZE.Ai analyzes the Forex or currency markets and makes trades in order to generate profits. This provides Hodo Global members with brokerage accounts subscribed to RYZE.Ai the opportunity to participate in the profits. The RYZE.Ai algorithm or software is available to HODO Global Partners who have subscribed. RYZE.Ai is a subscription based program for the Hodo Global Partners to utilize to trade currencies in their own personal brokerage accounts. 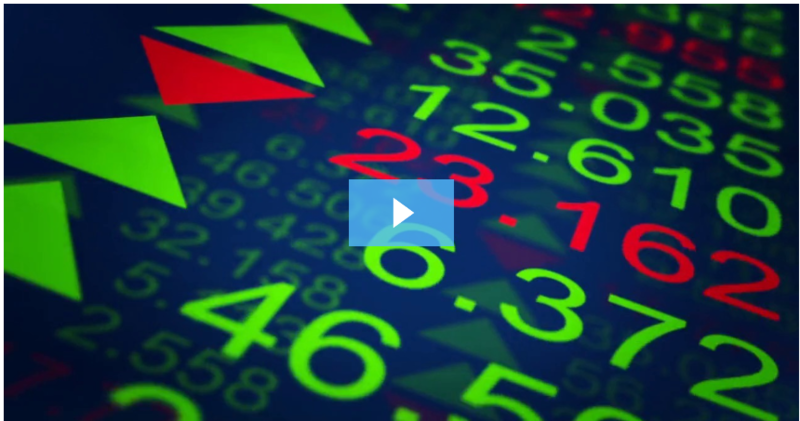 Each individual has absolute control of their own brokerage account and their funds. While the individual has RYZE.Ai activated it will conduct trades in their account. The size of each trade is proportional to the size of each persons brokerage account. This means that that if RYZE.Ai executes a trade a person with a $4,000 account will earn profits two times the size of a person with a $2,000 account. This keeps the exposure or risk of each trade proportional regardless of each persons account size. Can I make money with RYZE.Ai? Yes, you absolutely can make money with RYZE.Ai and trading currencies. While it is true that past performance is not a guarantee of future results, RYZE.Ai has performed excellently up to this point in time. In today’s article I will list the trades and the trade results for the week ending March 31st, 2017.
this week the statistics for this week are somewhat typical for the RYZE.Ai system from what I have observed. The performance shows that overall the trades were positive and peoples accounts made money this week. I will list some of the detailed statistics below. This week there were 200 trades executed in the account. Of these two hundred trades 93 were basically breakeven, that is the net result was effectively zero. Does this seem high? If you recall, the RYZE.Ai program spreads trades across many peoples accounts. So, for any given trade you own just a tiny fraction of a lot. As a result, when the trade has a very small profit or loss and you spread that across many accounts the net result can be less than one cent and thus shows up as zero. I would imagine that people with larger account balances would probably have far fewer of these zero trades than a smaller account because of rounding. Out of the 107 non zero trades, there were 79 winners and 28 losers, which means there are about 74% winning trades. What does this mean? I means that this week there were about 2.5 winning trades for every losing trade. The average winner was $.291 and the average loser was $.046. This means that the average winner is about 6 times the average loser. So, how did the account do this week percentage wise? It was up .66%. This is one characteristic of the RYZE.Ai system that I really like. There are a lot of trades and the exposure or risk to any one trade is very low as compared to your account balance. For some people .66% for the week doesn’t sound like a lot, it still comes out to more than 34% per year, which is the type account increase I will be happy with anytime. 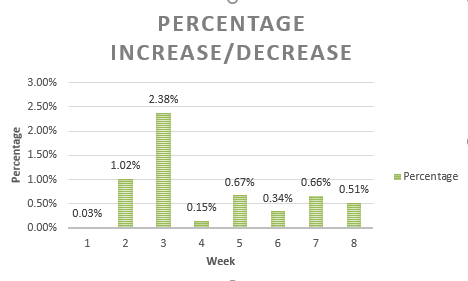 Overall, how does this week compare to the average weeks performance? For the eight week period I have tracked the RYZE.Ai performance up through April 7th, the weekly average was .72% per week. Form that comparison this weeks performance was a little below average but I was still very content. I much prefer to have steady, consistent profits each week and watch my brokerage account continue to grow week after week than to see large fluctuations from day to day and week to week. I have seen other forex trading programs that promise huge returns and boast of 20% or 30% per month returns. The problem with these type of systems is that the risk is far, far greater and sooner or later (mostly sooner) those systems string together a couple months of losses and you lose half your account or more. In contrast, RYZE.Ai is much different. With RYZE.Ai the exposure is much smaller. Let’s hypothesize that RYZE.Ai did have a coupleof weeks of losses in a row (which has not happened, but may in the future) given the average ranges you would probably be out only a few percent at most, which is recoverable in a few weeks. For me, I prefer the slow and steady approach instead of larger more volatile fluctuations every time. Methodical and consistent, time and again is what leads to long term wealth. This week there were a lot of Gold and Silver trades and many Swiss Franc trades. Since in a recent post we already explored the history of the Swiss Franc, today I will cover some history and geography related to silver. 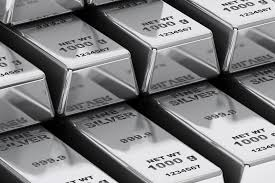 Those of you who read my personal trading knw I have always done well with silver trades, so I enjoy talking about it. People who aren’t interested can skip ahead to more about trading without this diversion. For some of you, I hope you find it interesting. From Wikipedia,”The Historic Silver Mine, Polish: Zabytkowa Kopalnia Srebra is a mining museum in Tarnowskie Góry, in Silesia in Poland. The mine and the neighbouring Black Trout Adit are remnants of a silver mining industry. The museum is an Anchor point on the European Route of Industrial Heritage. The mining industry ceased in 1912, leaving underground 150 km of adits and galleries. The Black Trout Adit, part of the Deep Adit Fryderyk, was the first to be exploited for tourism. In 1957, it was opened as a 600 metre long boat tour. The Historic silver mine opened in 1976. The visit in Historic Silver Mines starts in a interactive museum where tourists get the knowledge of methods of silver, lead and zinc ore extraction as well as underground mine drainage. Then tourists go underground. The trail is 1,749 meters long; 270 meters are travelled by boats. In conclusion, this was a very good trading week for the RYZE.Ai program. I was happy with the performance as I am every week. True that this week the returns were slightly below the weekly average but there always will be fluctuations from week to week and every week that my account increases in value I am satisfied. Consistent steady performance is what I am looking for and is what RYZE.Ai provides to me. Fun I can get from my own personal trading account where I trade on my own, as I show for your entertainment in other articles. If you want to learn more about RYZE.Ai and Hodo Global please watch the videos here or click on the image below. There is also a Thursday evening webinar (USA and International Numbers available) that explains more details about RYZE.Ai. Anyone can also email me with questions or leave a comment in the comments section below. People who are interested can send me an email to Xin@FXTradingIncome.com and set up a time to talk in person, as well. If you are looking to subscribe to RYZE.Ai, click here. This entry was posted in RYZE.Ai Weekly Performance and tagged currency trading, forex trading, Hodo Global, Ryze.ai, Xin Zhang on March 31, 2017 by Xin Zhang. I also like the slow and steady approach and if Ryze.Ai can bring in regular (even if very small) profits, then I am all in. The numbers you are sharing for the week and those weeks you tracked are very good. I would love to have a 34% increase each year. Some people might think it’s not enough but I think it’s plenty and considering the low risk (which would enable me to sleep ok at night) this is a no-brainer imho. We seem to be in complete agreement on our thoughts regarding RYZE.Ai and it’s performance. I am not interested in programs that promise huge returns. In my experience programs that generate huge returns also generate huge losses. Those programs tend to be over leveraged and unsustainable over the long term. As you so aptly stated, the RYZE.Ai historical performance is fantastic is you think long term, as I did in a blog on retirement accounts. Right now is an excellent time to subscribe to RYZE.Ai because the initial subscription fee has been slashed to $99, details here. If you have any questions on subscribing or opening an account, please let me know and I can step you through it over the phone. Oh yea this was a good week! I am loving it! I need to go with a bit more investment and make a deposit to my account and need some advice if you have the time. I would be happy to talk and answer whatever questions you may have. In a nutshell to add money to your account you basically just do a transfer to your Capital Cities account just as you did with your initial deposit. However, I think your question may be different than this, so I am emailing you my number and feel free to call me when you have time. I am not sure if I missed out big time, but where do I go to sign up for this? How much a month can you make? This is some cool stuff! are you allowed to have more than one account on one of these and make a bunch more? If there is any way I can do this with low risk, I would love to find out where to go and what to do . You should make a post that gives a tutorial on how to do this stuff step by step. Give me a reply and let me know if you ever do.